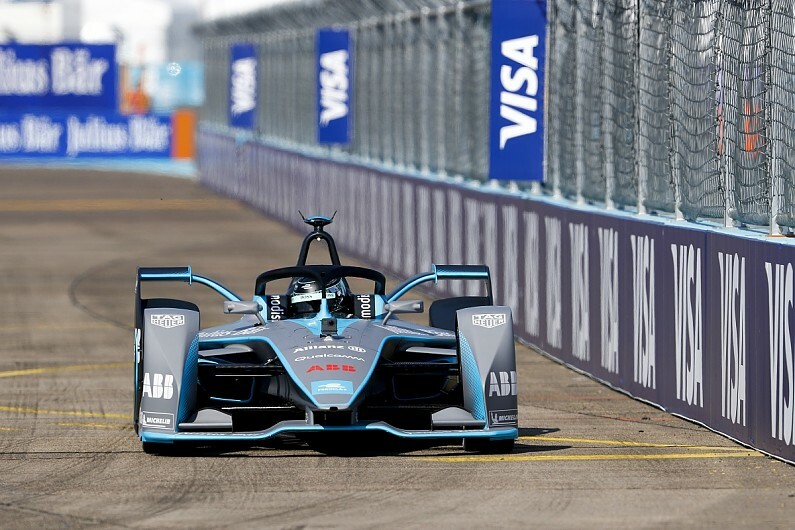 Formula E cars, like other Grand Prix race cars, are constantly sending telemetry data back to their respective teams which help the team understand what is going on with the car, where on track it is, lap times, and so much more. The list of data coming out from the cars would be truly mind-boggling to list out in its entirety. Using this telemetry data game maker Virtually Live is able to recreate ghost images of the cars in near real-time. The ghost images will appear like they do in almost every other popular racing game, but the difference here is that these ghost images are of the actual Formula E drivers during the race that is happening at that time. For example, this week Formula E is in Switzerland for the Zurich E-Prix. During practice, qualifying and the race you could be racing as your own ghost image against the likes of Sam Bird, Jean-Eric Vergne, and Sebastian Buemi. The cars will all be ghost images at the time of launch and the major goal will be to see if you can best the real drivers by taking the same or different racing line. However, Formula E officials say that over time they would like to introduce differential effects into the game should you collide with driver track. Outside of the pure fun aspect of this, I think there is also an opportunity for Formula E to pull data the other way and use the virtual racers telemetry data to inform their real-world on track decisions too. However, something like that would be a way out, I am sure. With the rise in racing e-sports, like Formula 1's own e-sports challenge, games like this could open up many other doors for Formula E to grow globally and get more fans involved. There are already things like Fan-Boost and next seasons Hyper-Boost (name not confirmed yet) that will allow drivers to get a boost in power for somewhere in the ball-park of 4-minutes during the race by driving over a specific section of track to unlock the power-up. Adding in real-time e-sport style competition is only going to grow the sport in my opinion. Formula E has also said that there will be plans to allow players to go back in time and recreate previous races and situations that actually happened during the E-Prix. Another opportunity for race teams to learn from the game data too! If you would like to sign up to learn more about the game as more details come available, you can sign up on the Formula E website by clicking HERE. The exact release date for the game has not been announced, but it currently is pegged for a 2019 release. I would hope for the start of the season, but this is a fairly ambitious project, so I would hope they pursue a high-level of quality before releasing this to the public. Formula E has also said the game will be available on PC and mobile platforms. I am really excited to see how this progresses as the game nears its release. Formula E has always found ways to appeal to fans in ways that Formula 1 has struggled to during the pre-Liberty Media days, and this continues to show their commitment to fan involvement.